Each week, ICNC will feature a publication, news article, video, blog post or study from our comprehensive Resource Library to keep activists, scholars, journalists and others apprised of key developments in the civil resistance community worldwide. Access and downloads are free. In addition, we will also feature a translation of that resource in a language whose native speakers might benefit from it. 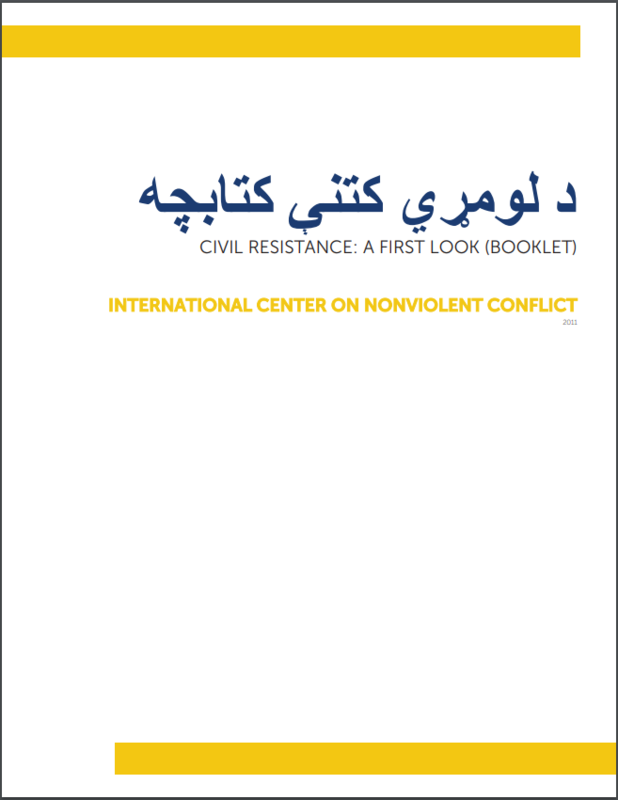 This week’s resource is the booklet Civil Resistance: A First Look, and our featured translation is Pashto (د لومړي کتنې کتابچه). This month tens of thousands of Pashtuns took part in a massive demonstration in the Pakistani city of Peshawar to demand an end to alleged human rights violations at the hands of police and Pakistani security forces. Pashutuns, an ethnic minority in Pakistan that makes up some 15% of the population, have long accused the state of repression, forced disappearances and extrajudicial killings. The instinct is a good one. An emerging field of study is corroborating what activists like Pashteen instinctively know: that nonviolent tactics are quantifiably more successful than violent tactics at both convincing neutrals of the moral superiority of the cause, and engaging a repressive state in ways that neutralize its advantages and amplify its weaknesses. In that spirit, this week’s ‘Resource of the Week’ is the booklet Civil Resistance: A First Look. 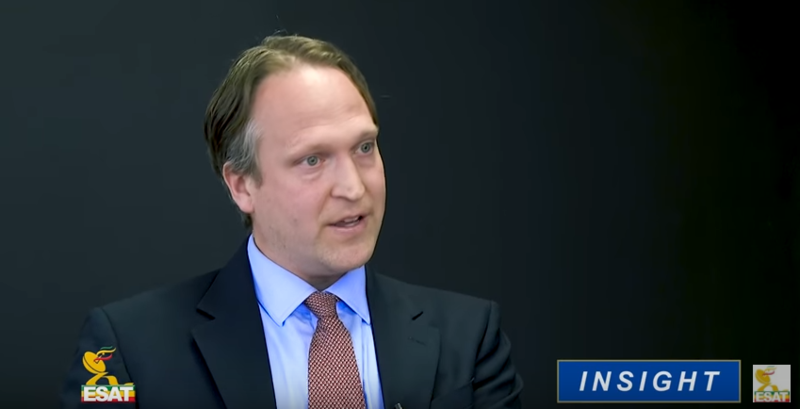 ICNC President Hardy Merriman recently discussed factionalism and nonviolent tactics as applied in Ethiopia as competing factions are increasingly mounting campaigns against government strictures. The interview appeared on Ethiopia TV12 and was videotaped in Washington, D.C.